"I get worried every time my 6-month-old baby shakes head side to side. I dismissed it at first as a new body movement but I started getting worried when it became frequent. He seems fine but shakes his head at least 5 to 6 times every day, sometimes vigorously. I turned to the internet for answers and ended up worrying that he may have a learning disability or sore ears. I cannot help but wonder if this is normal or if any other parent has experienced the same thing." Do you experience the same thing as the mom described above? Does your baby act like described above? Read on to find out if this is normal and how you can help your baby with motor skills development. Baby Shakes Head Side to Side, Is It Normal? Mostly, it is a normal behavior, but it can indicate some health issues as well. Babies shake their heads as they try to control their body or imitate you. They may continue if you pay attention or respond to the trick. However, this behavior may also be a sign of an ear infection. Seek medical help if your baby is inactive andgets a cold, an infection or a fever. You baby may shake his or her head to get more comfortable or unblock the inner ear. It could also be a sign that your baby is tired. Shaking the head from side to side might be just a stage in development but it is advisable to rule out any infection. Baby Shakes Head Side to Side, Can It Be Autism? Some parents worry about autism when a baby shakes head from side to side regularly or vigorously. The list below outlines the common signs of autism disorder. The list is not exhaustive and hence it is advisable to consult your doctor if you notice any developmental disability or delay on your baby. It is normal for first-time parents to worry about their children’s development. Sometimes, you just need to follow your parental instincts. It is better to be wrong than risk your child’s future. If you suspect an autism disorder, follow these tips might be helpful. Act on your concerns immediately. There are better chances of success if you seek help as early as possible. CDC indicates that 1/3 parents whose children are on the autism spectrum notice the signs before their children turned one year old. More than 80% of these parents could identify early signs of autism before their children turned two years old. Never ignore any concern about your child’s development. Let your doctor determine the possibility of autism. You can seek help from your school district. A coordinator for special education in your local school can assess your baby's development and advice. Just get prepared for various reactions around. Some people will support and while some will dismiss your worries. People's reactions should not discourage you from seeking help and doing the right things for your baby. Banging the head: Besides the action that baby shakes head side to side, banging head is the most alarming self-soothing technique. A baby may bang his or her head against crib bars, furniture or against the wall before sleeping. Twisting and pulling the hair: Some toddlers soothe themselves by twisting their hair or their parents' hair before falling into sleep. Stroking or rubbing some body parts: Some toddlers' self-soothing technique is to stroke their ears, feet, private parts, or bellies. Others stroke their parents' hands, ears of faces. Vocal, facial and body tics: Toddlers may make repeated sounds, shrug their shoulders, or twitch as they try to soothe themselves to sleep. Body rocking: Rocking the body back and forth or from side to side is one common soothing technique in some toddlers at bedtime. Some rock their bodies on their knees and hands. Parents should track and encourage their baby's motor development at all stages, and offer appropriated support, which also helps to monitor any abnormality in the baby development. Your baby's hand movements at this stage are involuntary. His or her fingers may hold your finger because of the baby's palmar reflex. 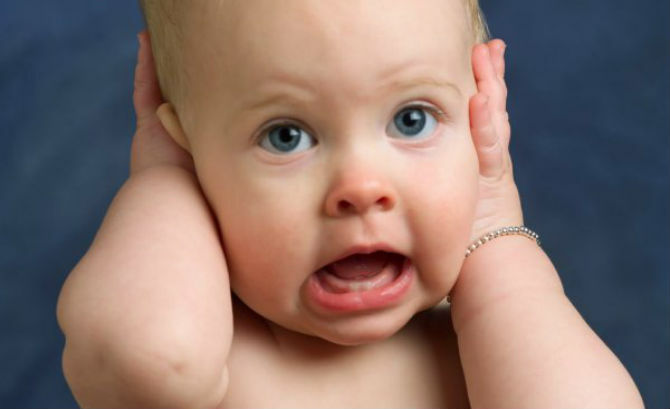 The baby may splay or fist his or her hands when he or she is surprised or crying. These movements turn to voluntary actions at later stages of development. Use a rattle to stroke the backs of your baby's knuckles and then place it on his or her palm. The baby may not hold the rattle for long but will practice how to hold and drop. Encourage your baby to play on his or her tummy to strength the arm, shoulder, back and hand muscles. Include dangling toys in your baby's playroom. Batting dangling toys enables them to practice coordinating their hands and eyes. Your baby develops finer motor skills at this stage and learns to coordinate his or her thoughts with hand motions. Your baby chooses and grabs his or her favorite toys. Babies at this stage can grab their hands or feet and move objects from one hand to another. Such movements teach them cause and effect. They learn that their actions have an impact or effect. You can help your child improve their coordination by playing such games asThe Itsy-Bitsy Spideror Pat-a-Cake. Keep changing your baby's positions as he or she plays. This challengeshis or her motor skills in different ways. Teach your baby to hold toys by pressing a soft block in his or her hands. At this stage, your baby can handle his or her toys. He or she can throw, bang, drop or shake toys. The greatest challenge for the baby will be learning how to feed on its own. And the pincer skills will develop by 9 months, when your baby can feed itself and grip a spoon between its forefinger and thumb. Support your baby's shoulders and back as he or she plays so that the baby can focus on moving the fingers. Allow your baby to do some things on his or her own, helping with the independence. In this period, your baby tries to apply the acquired skills on harder tasks. For instance, babies may try to operate each finger independently. They can point at the objects and indicate that they want to be hugged or picked up using hand signals. They may also clap to music, reach, and hold your hand willingly. Tie yarns of different colors to each finger so that your baby can learn to move them independently. Buy clay and teach your baby to poke hole in it. It is the best way to learn using each finger independently. Challenge your baby to do tasks that engage his or her understanding of cause and effect and coordination skills. For more details on baby development, click HERE. Is It Serious If Your 9 Month Old Baby Is Not Crawling? Why Do Babies Pull Their Hair? How Much Should a 6 Month Old Weigh? When Do Babies Get Tears?